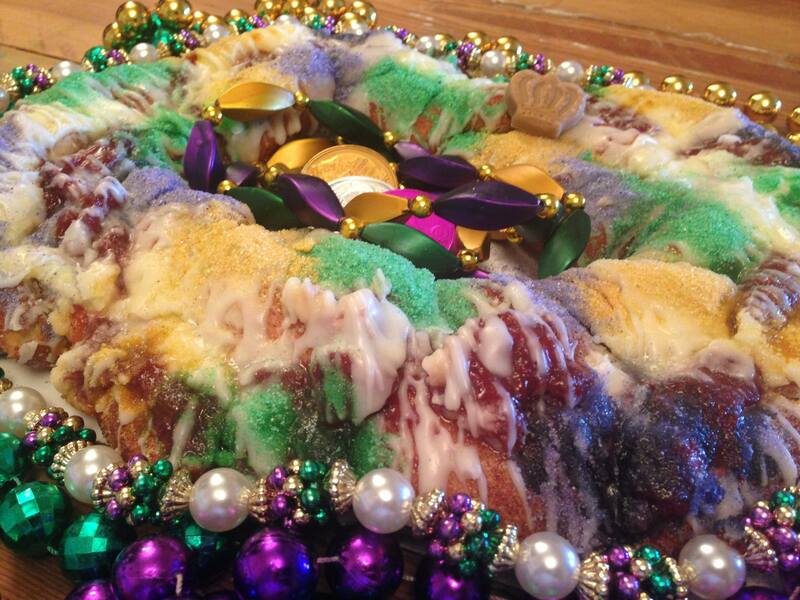 It’s Mardi Gras season in Louisiana and that means it’s also King Cake Season! 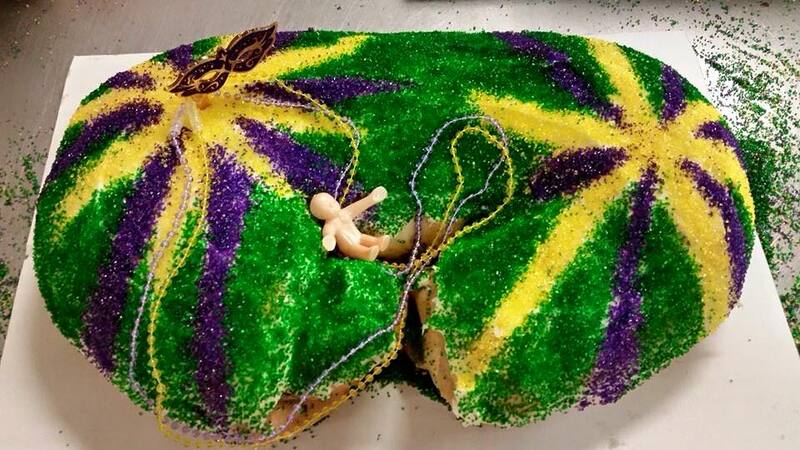 The King Cake has been around for 300 or so years. What started as dry French bread with sugar on top is now a delicious pastry type dough with cinnamon topped with sugary sweet icing and any combination of purple, green, and gold(or yellow) sprinkles. You’ll also find them filled with cream cheese, praline sauce, or a number of other tasty options. Pick up a Prince Cake from Tummy Yummy Creations in West Monroe. This smaller version of the King Cake allows you to enjoy a smaller version of this festive treat! Choose from Classic Cinnamon, Peach, Praline, Strawberry, Cream Cheese, Chocolate Pudding or Bananas Foster and, if you are lucky enough to catch it, their newest flavor Blueberry Lemon. And they are only $7 each! Known for “good food with a side of healthy,” Daily Harvest Bakery King Cakes offer the same delicious taste with that same healthy spirit. They make their king cakes with whole wheat flour and succanot, a diabetic friendly sweetener. Choose from flavors like Chocolate Chip, Blueberry, Strawberry, Cinnamon, Cream Cheese, and Pecan Praline! Nonna, the Italian restaurant of award-winning Chef Cory Bahr, is known for their delicious Italian fare. The patio is the perfect place to unwind and one can let the afternoon slip away with some fun on the bocce ball court. During Mardi Gras season, they’ll now be known for Chef Cassie’s King Cakes with Creole Cream Cheese, Roasted Louisiana Strawberry, Dulce de Leche, or Traditional Cinnamon flavors. Believe me, there is no wrong choice. Looking for something a little different? 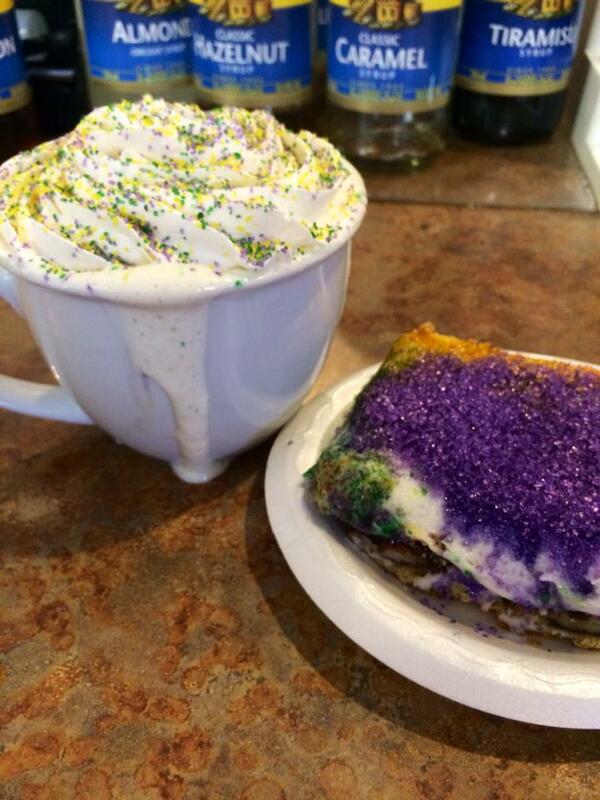 Try your King Cake in a cup at The Corner Coffeehouse! Flavored with White Chocolate, Amaretto, and Caramel, this specialty latte features is topped with whip cream and purple, green, and gold sugar sprinkles. 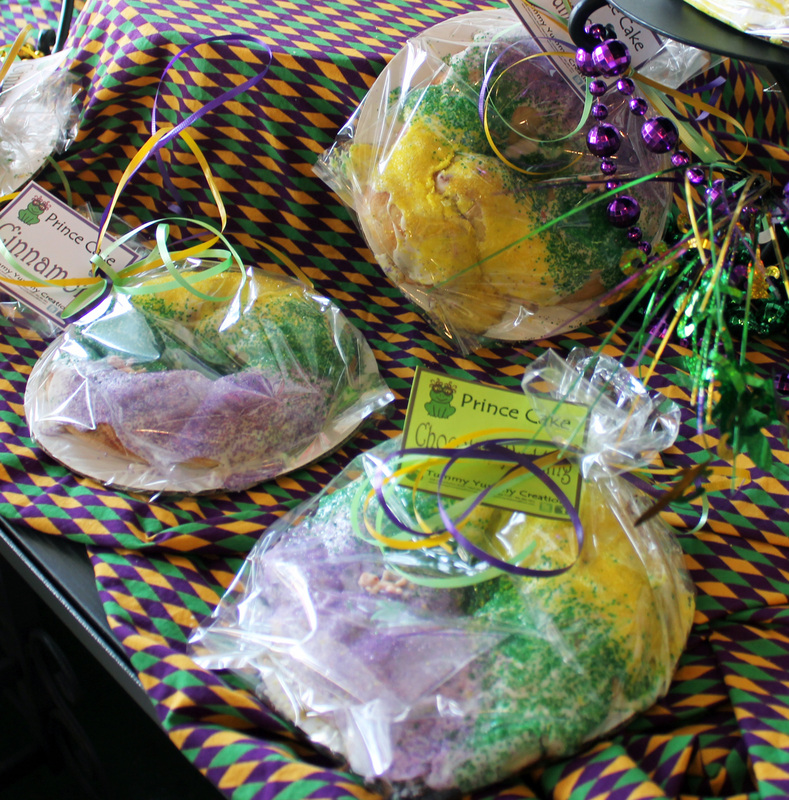 They also serve King Cakes and Mardi Gras cupcakes as well in their bakery. 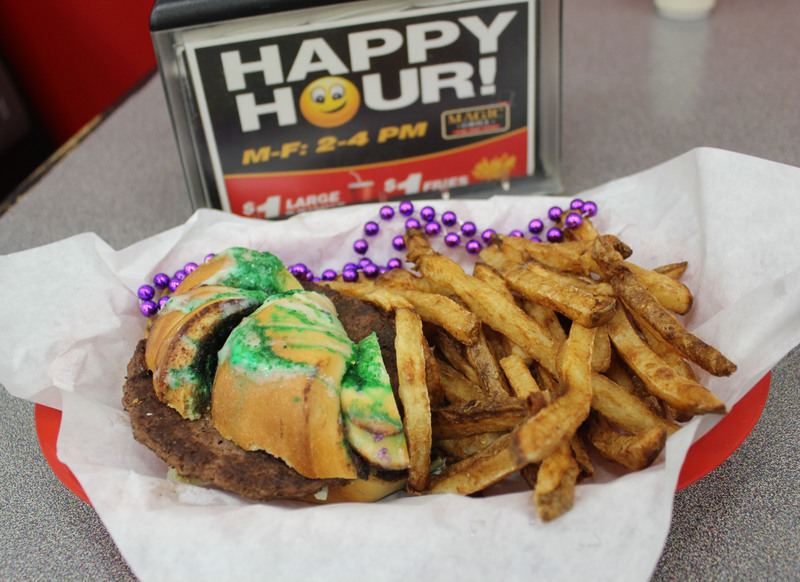 Perhaps the most adventurous way to enjoy the flavors of the Mardi Gras season is with the King Cake Burger at Magic Grill West Monroe. And yes…it is exactly what it sounds like: a beef hamburger patty served in a traditional King Cake bun and dressed just how you like it. They tried it last year for about a week and those patrons, who were brave enough to try it, loved it. When Mardi Gras season rolled around this year, the calls started rolling in. Kaitlyn and I couldn’t pass up the chance to give it a try. We both loved the sweet mixed with the savory. It’s definitely a must-try this season. So what’s your favorite way to enjoy this Mardi Gras tradition?? Which one of these 5 are you most excited to try? Let us know in the comments. We’ve searched around and compiled a list of the Top 10 Fashion Trends of 2015. 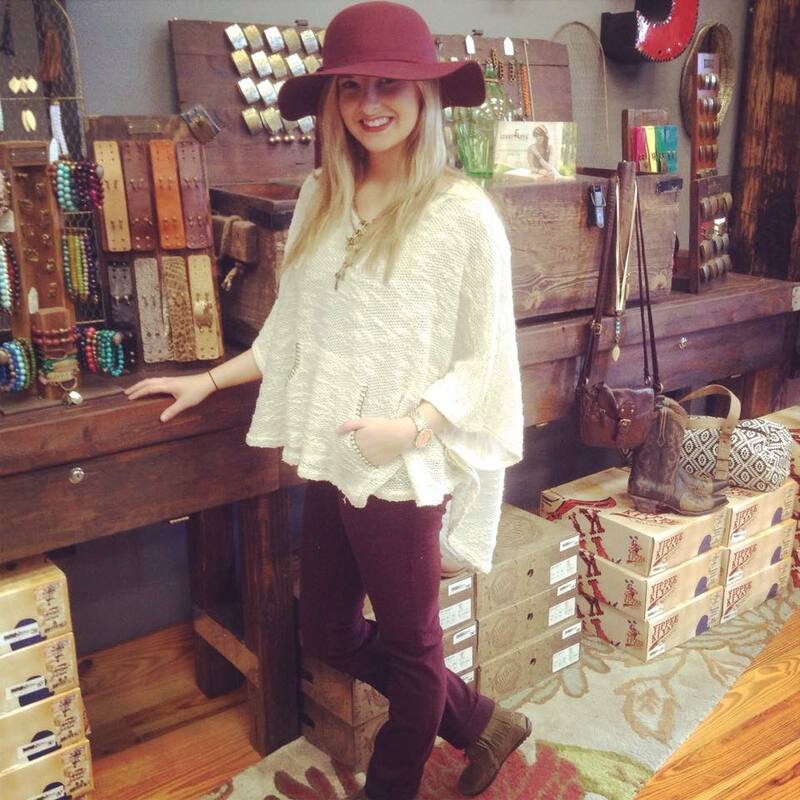 With so many cute local boutiques in Monroe-West Monroe, there are plenty of places to shop these trends! Oh, and in case you haven’t heard the trend we love most: Local is the new black. Keep your eyes wide for the color of the year for 2015, Marsala. This reddish-brown hue, named after the Sicilian wine, is popping up everywhere from pillows to purses to pants. Marsala is sure to add depth and warmth to your wardrobe in these next few cold winter months. Place you are sure to find Marsala? Salt & Pepper Accessory Boutique! While the print itself is nothing new, the use of gingham in 2015 is fresh in modern and simplistic hues of toasted almond, aquamarine and shades of red. Gingham will be popping up everywhere from skirts and dresses to scarves and cardigans. 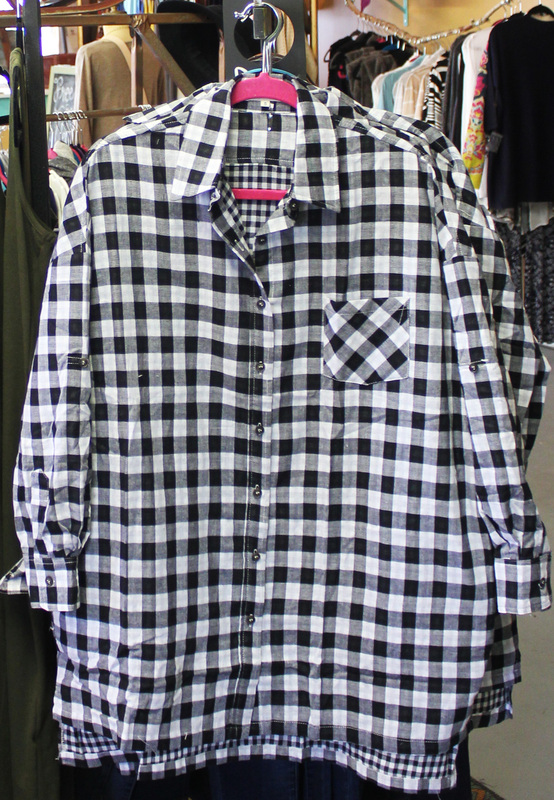 Check out this oversized gingham shirt we found at Free Birds! The wild 70’s is a decade to remember and is certainly inspiring fashion for another year. Making a comeback under a tasteful, editing eye, baby bells (toned down bell bottoms), fringe and frays, and rising necklines are here to stay this season. With subtle 70s throwback vibes, these boots from Herringstone’s are a must have. Denim has always been a staple in everyone’s closet for as long as I can remember. In 2015, fashion is mixing things up and creating new glamorous ways to show off our denim. 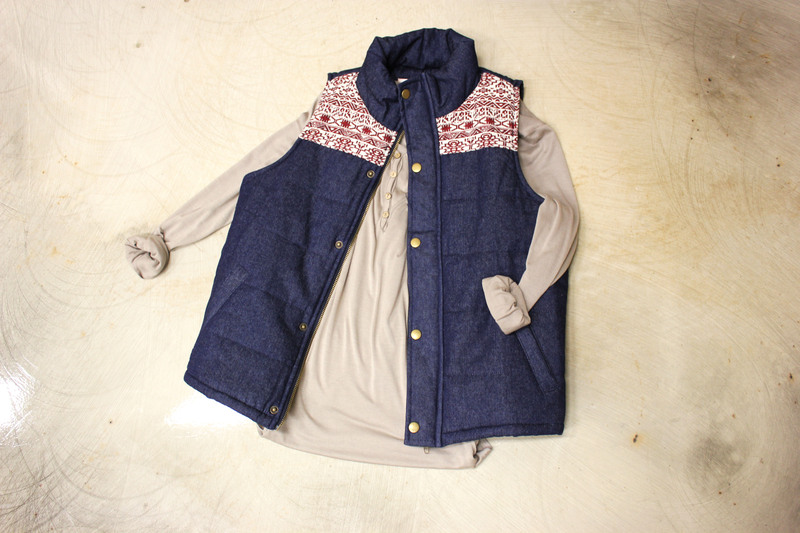 Not just limited to jeans anymore, this denim puffer jacket from K-Sera is a great example of how to pull off decorated denim. 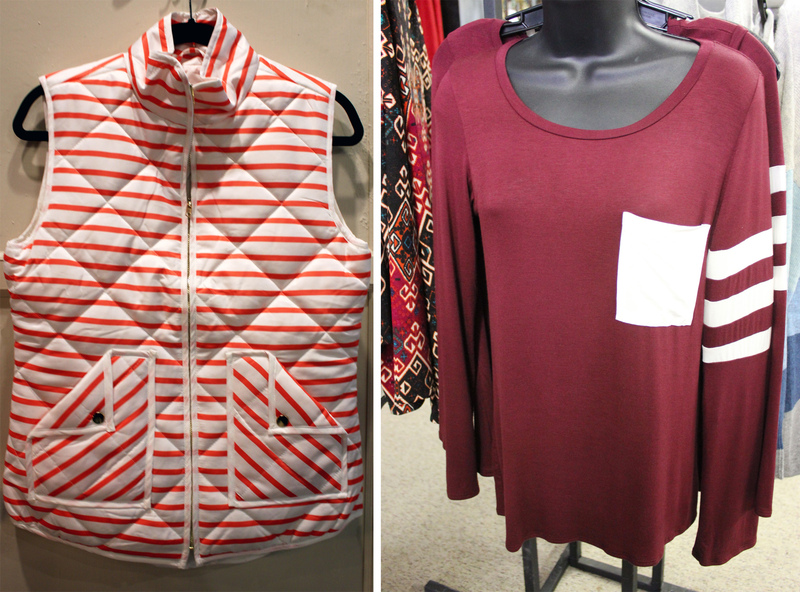 Fall in love with sportswear and casual wear this year because it’s everywhere-and we’re excited about it! Comfort is chic with cut outs and minimalist touches in sporty yet casual jackets, sweaters, and crop tops will keep you on trend. Take a pared-down approach to athletic influences such as stripes, zippers, and drawstrings. 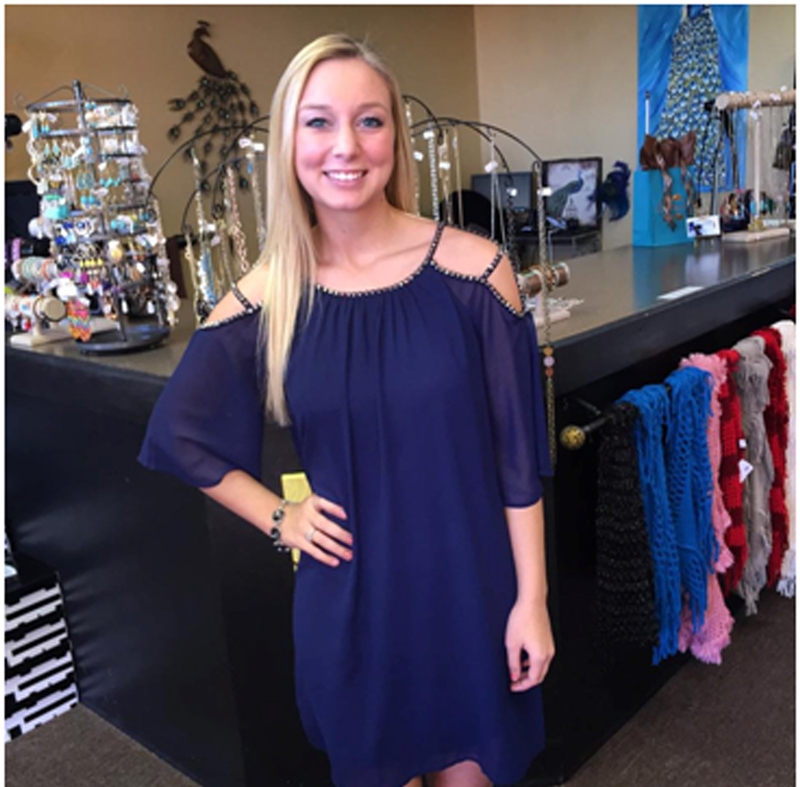 You can check out these cool and casual styles at Herringstone’s and Rustic Rose. Suede is the new fur for 2015, and it’s coming in all colors and patterns. From buff shades, to yellow, to polka dots, you name it-you can find it in suede. 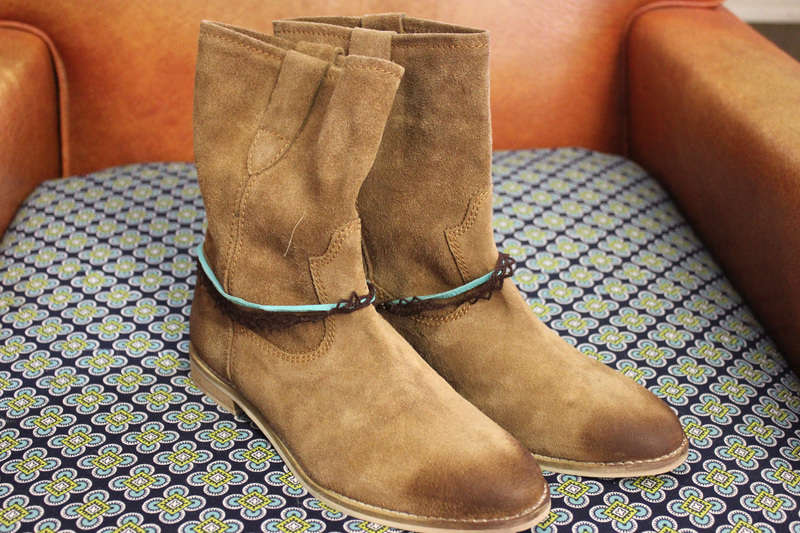 Try out these suede mocha boots from Free Birds. Shoulders are strong this year, and we aren’t talking shoulder pads! Designers are taking the less-is-more approach by creating pieces that have a bold one-shoulder design as well as cute cut-outs like this dress from The Twisted Peacock to show your shrug. Stripes are everywhere this season in all colors, sizes, and placements. You’ll find statement stripes featured in sleeves and accents of handbags as well as entirely striped pieces. Horizontal or vertical doesn’t matter this year so try them both! 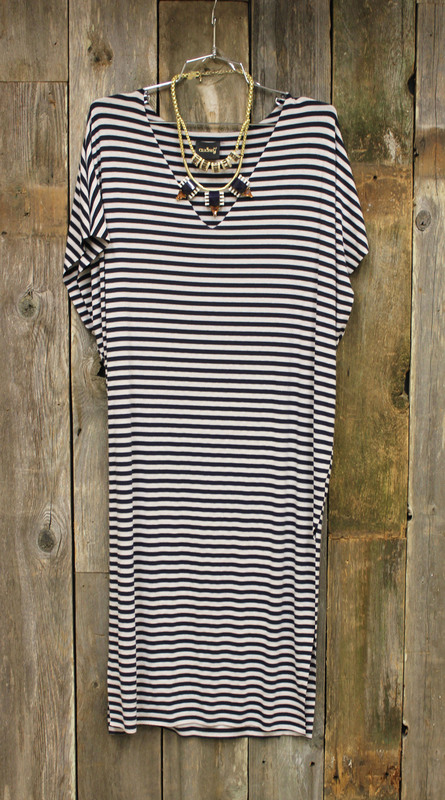 Pull off this trend by sporting this soft, black & white striped tee dress from K-Sera. Just imagine the Hamptons on safari. Instead of wearing heavy, opt for charmeuse jumpsuits in the new shades of tree top or woodbrine green. Trade the baggy utility style pants for fitted cargos in soft beige and dark khaki like these from Duck & Dressing. Basics are your best friend in beautiful blush and black. You can find these shades basically anywhere, and the fit and comfort level is divine. Pieces reminiscent of flowing ballet wear in these soft colors will take you far into spring and summer. 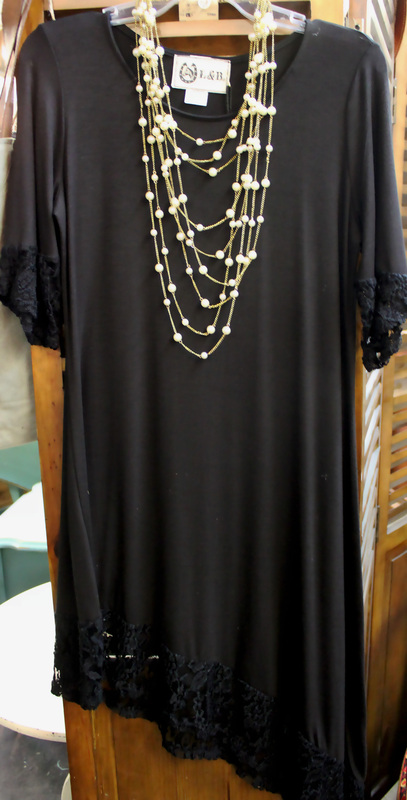 This dress from The Shabby Chic Two is perfect either for a night out or to pair with leggings for a casual day outfit. Tracy Carter was known among family and friends for his salsa. He frequently made it for them and was told that it was so good he needed to bottle and sell it commercially. So that’s just what he did. Along with his wife Kristi, he opened Jac’s Tailgaters. Their company now sells over 25 products with more set to be released, and they have garnered 40 national awards. 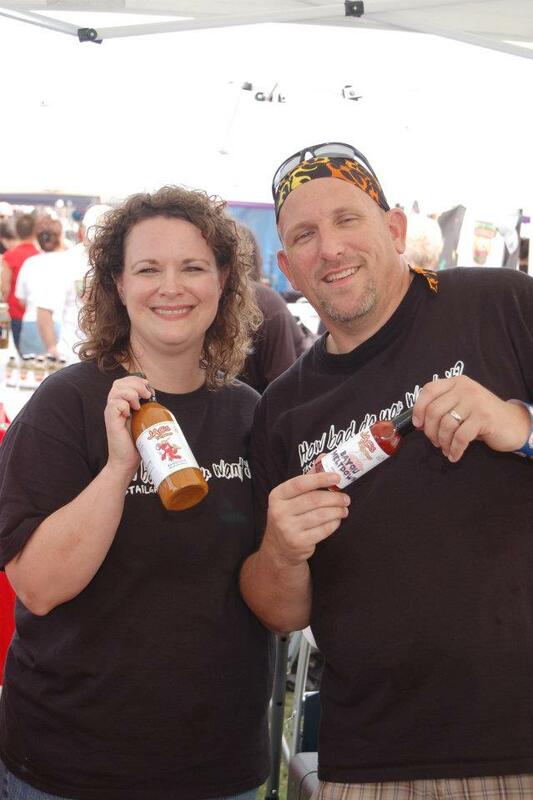 Their products range from seasonings and salsas to BBQ sauces. When asked to pick a favorite product, it’s hard for both Tracy and Kristi to decide. Kristi’s favorite is the Mango Habanero Salsa, which is off the shelf now but will more than likely return in the near future. Tracy is partial to his Raspberry Chipotle Finishing Sauce. “It is such a versatile and delicious sauce. From cream cheese to pork to ice cream, it is simply a crowd pleaser,” Tracy said. For holidays, the Carters love to make dips. They have developed many under the Jac’s brand. They suggest to not only use the dips as suggested on the package with sour cream and mayo, but to also use them in hot dips, marinades and dry rubs. “We are always coming up with different side dishes with our seasonings” he said. Saute onion in a small amount of olive oil until tender, about five minutes. Spray a 9×13 baking dish with nonstick cooking spray. 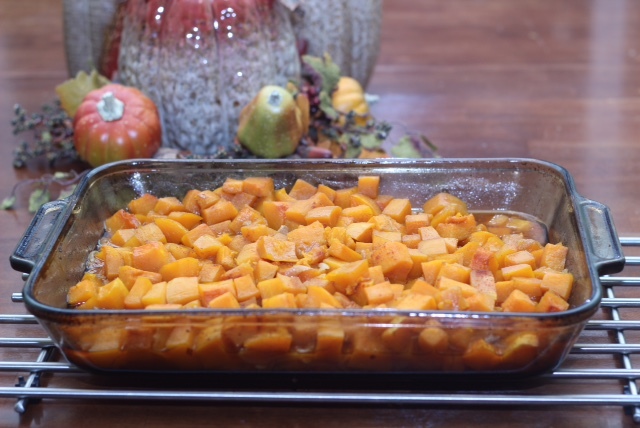 Combine onion and squash and pour into baking dish. Distribute butter in different areas on top of the squash. Sprinkle with brown sugar and Fling On. Drizzle maple syrup over the top. Bake at 350 degrees for 45 minute to an hour or until squash is tender. Stir occasionally. 1 14 oz can artichoke hearts, drained and chopped. 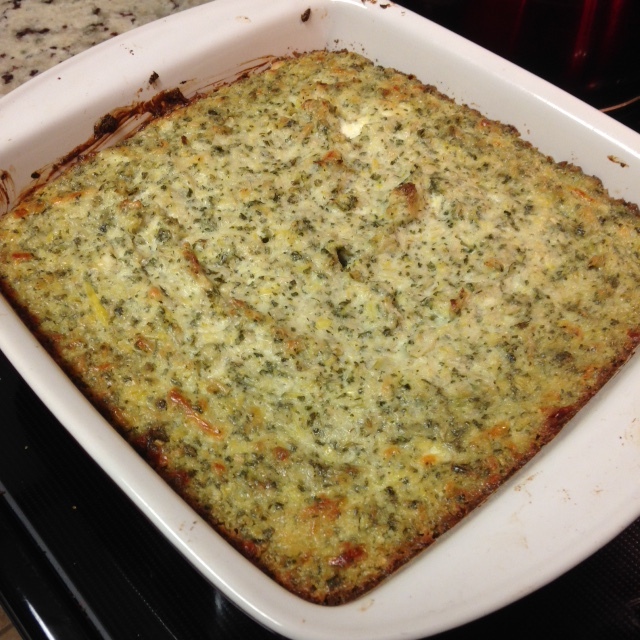 In a medium bowl, mix all ingredients together until well incorporated Spread mixture in a greased 8×8 baking dish. Bake at 350 degrees for 25 minutes or until bubbly. 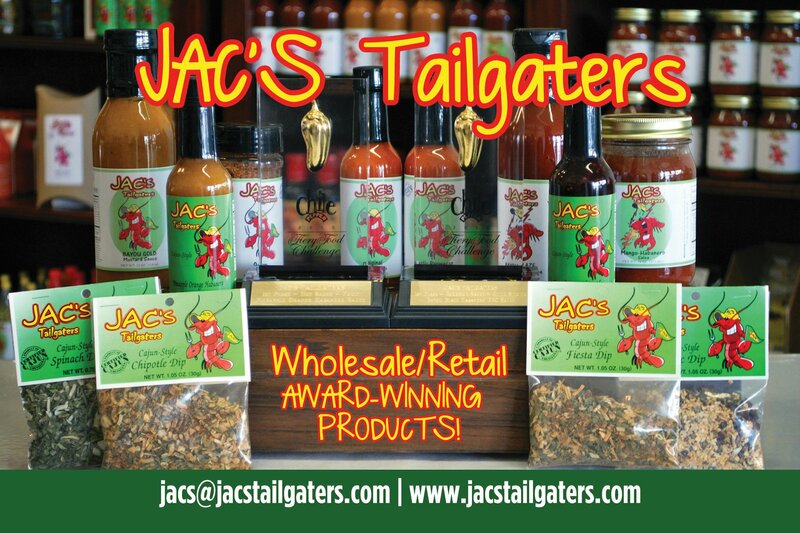 You can find the products mentioned in these recipes and other great Jac’s Tailgater products on their website, www.jacstailgaters.com. They have some great packages and gift options, if you’d like to share a little Louisiana spice with friends or family. 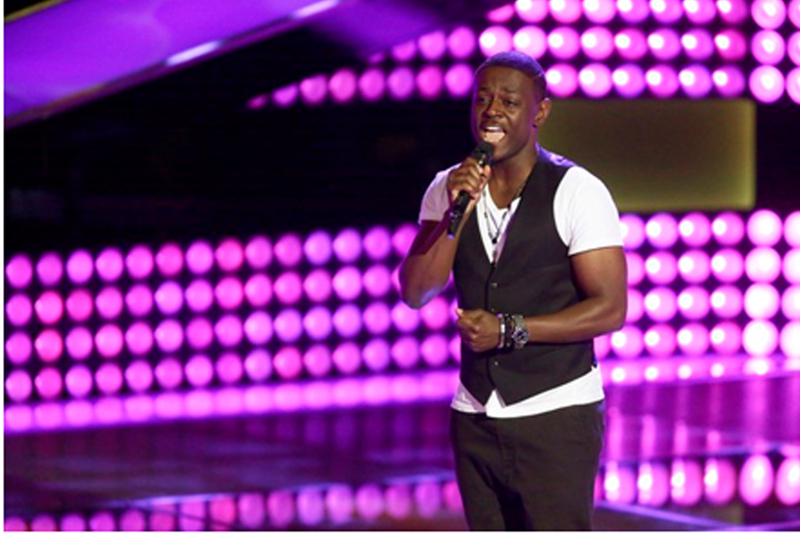 Since that night, Damien has flown through the Battle and Knockout Rounds. 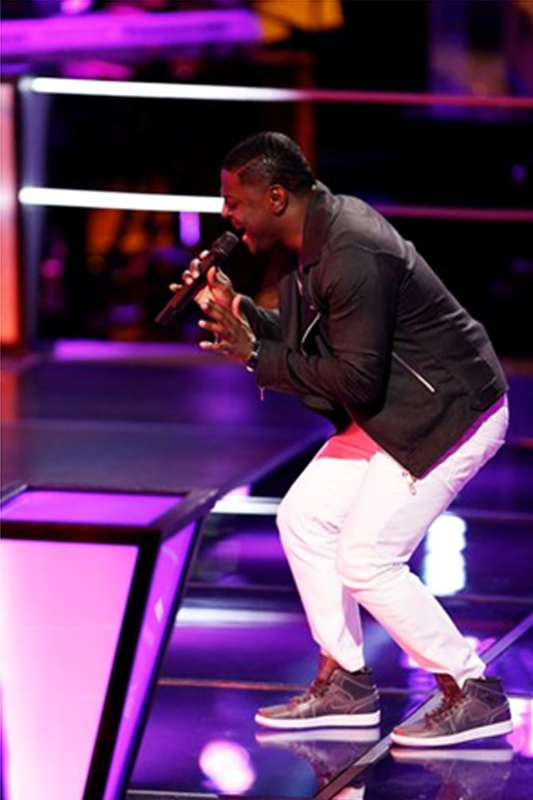 Last week, he sang Sam Smith’s “I’m not the Only One,” and America voted him through to the upcoming live shows. Damien, the oldest of seven siblings, got his musical start early. He first sang at Liberty Christian Center, a local church, at the age of three. We asked Damien to share a few thoughts with us recently and here is what he had to say. The Winans, Commissioned, Whitney Houston, Brian McKnight, Brandy, The Clark Sisters, and BeBe & CeCe Winans. My dad is my biggest supporter. Singing the National Anthem at The Staples Center. Words could not describe my appreciation to have the community backing me. Tonight, Damien will take the stage in The Live Show rounds. Each week, contestants will perform on Monday night. On Tuesdays, the three contestants with the lowest scores will “sing for their lives.” America will vote, and the contestant with the greatest number of votes will receive the “Instant Save” and remain in the competition. So be sure to stay watch The Voice on Monday and Tuesday nights to support Damien and get him to the end. You can follow Damien on Twitter and Instagram, and use the hashtag, #teamdamien, to show your support! October 12 – 18 is National Wildlife Refuge Week and here in the Monroe area we have some wonderful wildlife refuges to celebrate. The first National Wildlife Refuge was established in 1903 by President Theodore Roosevelt at Pelican Island in Florida. When he established it, the refuge was only 5 acres and the purpose was to protect birds from plume hunters. You may have seen pictures of ladies with those fancy hats from back then, well those decorations came from birds including egrets and herons like what you see around Monroe today. That refuge is now more than 5,000 acres and is one of 562 spread throughout the United States. 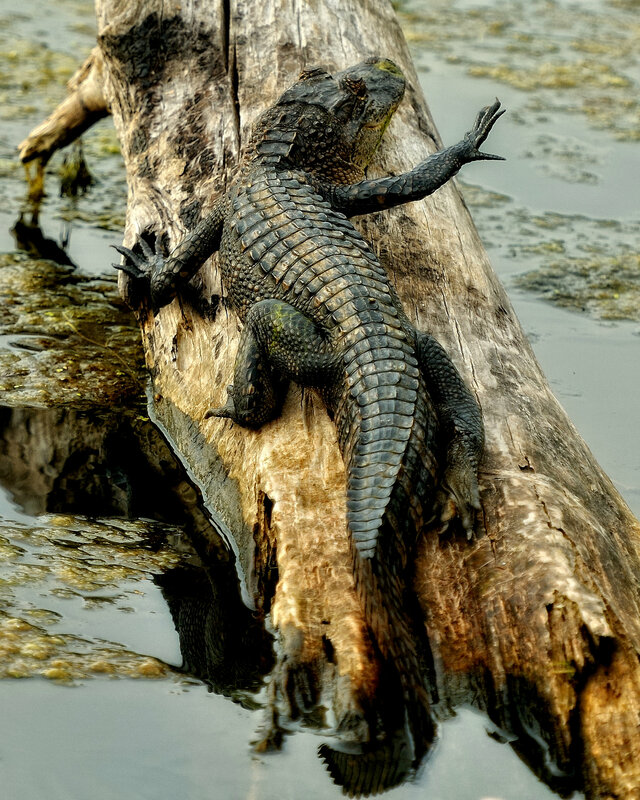 Louisiana has 24 National Wildlife Refuges scattered across the state protecting diverse environments and a variety of species. We actually have the 2nd National Wildlife Refuge ever created, Breton National Wildlife Refuge off the coast. It was established in 1904 and is the only one that Theodore Roosevelt actually visited. In this area we are fortunate to have some pretty amazing refuges for you to explore. 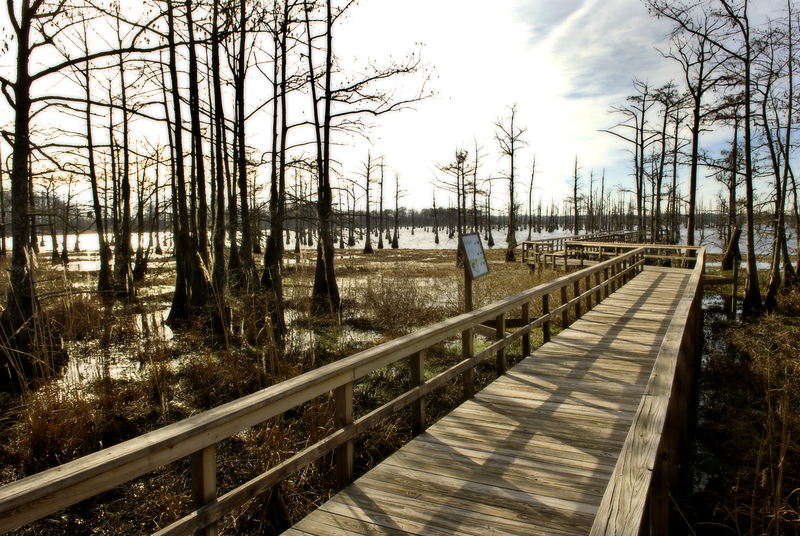 The North Louisiana Refuges Complex consists of 5 refuges including Red River over in Bossier City. In Monroe we have Black Bayou Lake National Wildlife Refuge and just north of us are D’Arbonne, Upper Ouachita, and Handy Brake. If you head a little ways east you can visit Tensas National Wildlife Refuge and if you are really lucky see a bear. Heading north into Arkansas are ever more refuges including Felsenthal. Refuges have a lot of roles. Foremost refuges were established to provide habitat for migrating birds and a lot of them are along the fly-ways. In conjunction with that they provide habitat for a variety of species – animals, birds, plants, fish, and insects included. There are a lot of different folks who work on the refuges from foresters and biologists to the law enforcement and visitor services and the folks who are a lot times behind the scenes but essential, our maintenance crews. Once the primary mission of the refuges has been secured, we also manage for human use including: hunting, fishing, wildlife observation, bird-watching, photography, education, and interpretation. If you are hunting make sure you have our rules and understand them before you hunt. To celebrate National Wildlife Refuge Week, we invite you to join us on October 18th at Black Bayou Lake National Wildlife Refuge for the Friends of Black Bayou annual Fall Celebration. 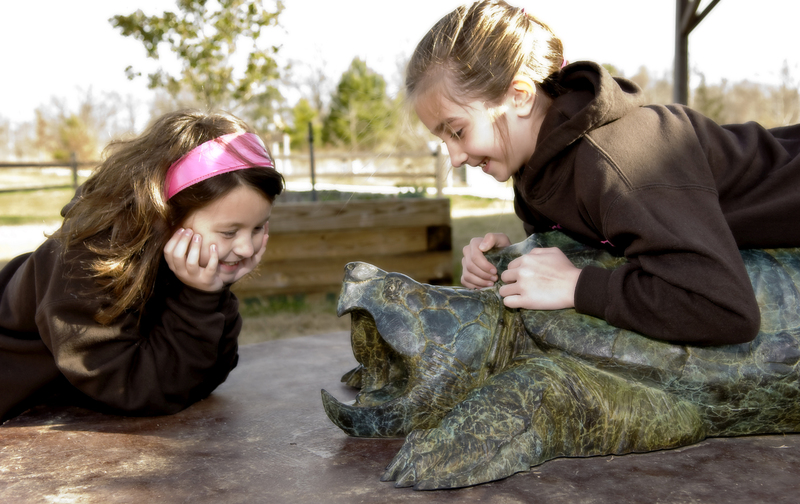 It will be from 10 am-3 pm and has fun for the whole family including a turtle release, canoeing, building bird houses, the turning of the goose, folks from the Children’s Museum and Masur Museum, the zoo and our own critters plus free food. Celebrate with us and come out and enjoy your wildlife refuges. The Northeast Louisiana Celtic Festival returns for its 10th year to Kiroli Park in Monroe-West Monroe on Saturday, October 4. This festival celebrates the heritage and Celtic roots of our region with music, Celtic food, and the popular Highland Games. 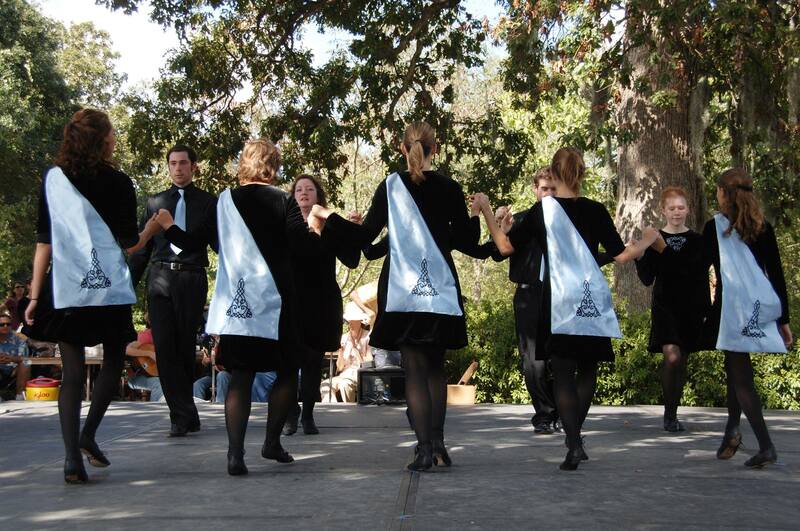 The Celtic Festival brings a full day of variety of entertainment on three stages beginning at 10:30 am. Visitors will enjoy musical performances by Jim Flanagan and Davey Arwine, James Earl Simpson, Kenny Bill Stinson, The Traveling Murphys, and more. Storytelling is a traditional art form in the Celtic culture. Mairtin de Cogan, an award winning storyteller, is known for “spinning a good yarn,” and will be performing at 12:30 pm on the Main Stage and at 2:15 pm on the Lodge Stage. The Jackson Irish Dancers will be performing throughout the day and will also join musical acts Emerald Accent and The Pure Drop. Click HERE for a full schedule of the day’s performances. Visitors to the Celtic Festival can enjoy the typical festival fare, along with unique items like Scotch eggs, Haggis, Shepherd’s Pie, and Sticky Toffee Pudding, all traditional Celtic foods. And the Highland Games will once again return bringing an exciting air of competition. 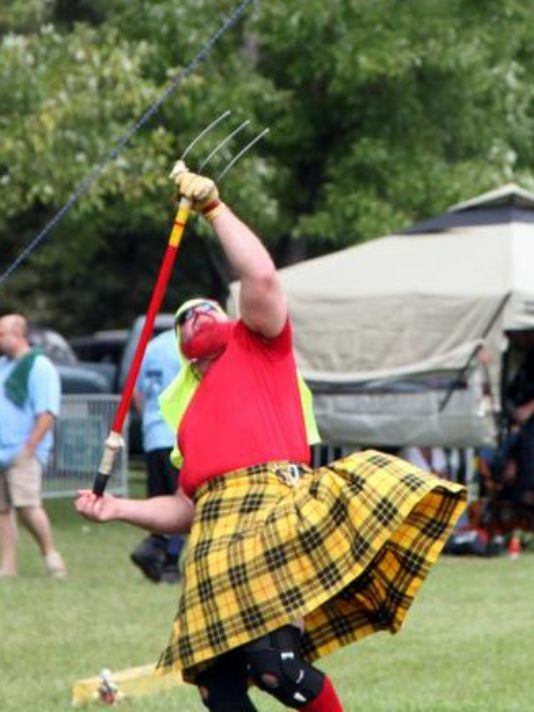 Some of the world’s strongest men and women will don their kilts and compete in such events as Caber (telephone poles) toss, hammer throw, stone put, and sheaf (weighted hay bag) toss. Leading up to the festival, the Traveling Murphys family band will perform Thursday, October 2 at 6 pm at the Ouachita Valley Public Library. 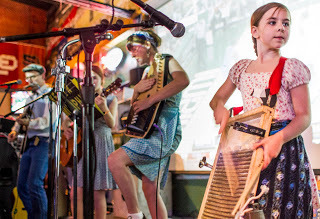 And traditional Celtic Festival sessions are scheduled at Enoch’s Irish Pub on Friday and Saturday nights at 8 pm. 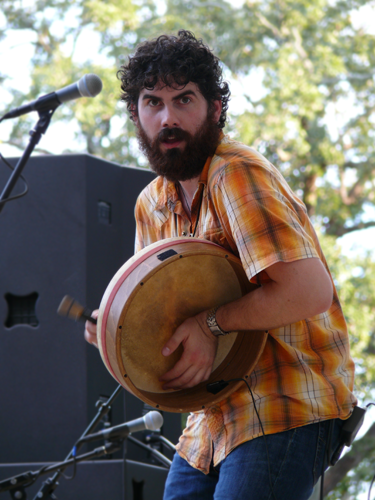 For more information on the Northeast Louisiana Celtic Festival, check out their Facebook page or call (318) 325-1961. In the fall of 1934, Claire Lee Chennault was commissioned by Major General John F. Curry to form and lead an aviation acrobatic team for the Air Corps. The team was built from airmen who were capable of sticking with Chennault during a thirty minute acrobatics trial and was used to refine fighter tactics developed by Chennault and other air combat theorists. The three men who made the team were Haywood (Possum) Hansell, John H. (Luke) Williamson and Billy MacDonald. These men had an ongoing camaraderie built on a strong relationship of mutual respect for their flying skills and the importance they all place on fighter pilots. During the acrobatic shows, they were so close together during maneuvers that many spectators thoughts they had collided, but they never got closer than three feet to each other. In January of 1936, the acrobatic team was doing a farewell performance at the Miami Show attended by General Mow Pang Tsu of the Chinese Air Force (CAF). After the show had concluded, the team was invited to Ambassador William Pawley’s yacht to meet General Mow. During the team’s meeting with General Mow, he invited them to come and serve as flight instructors in China. Chennault encouraged McDonald and Williamson to pursue this offer. Taking up Chennault’s advice, McDonald and Williamson formed an advanced team, headed to China and informed Chennault about the state of Chinese military aviation capabilities. Eventually, they helped to arrange the deal sent by Roy Holbrook in early 1937 that brought Chennault to China to survey the CAF. 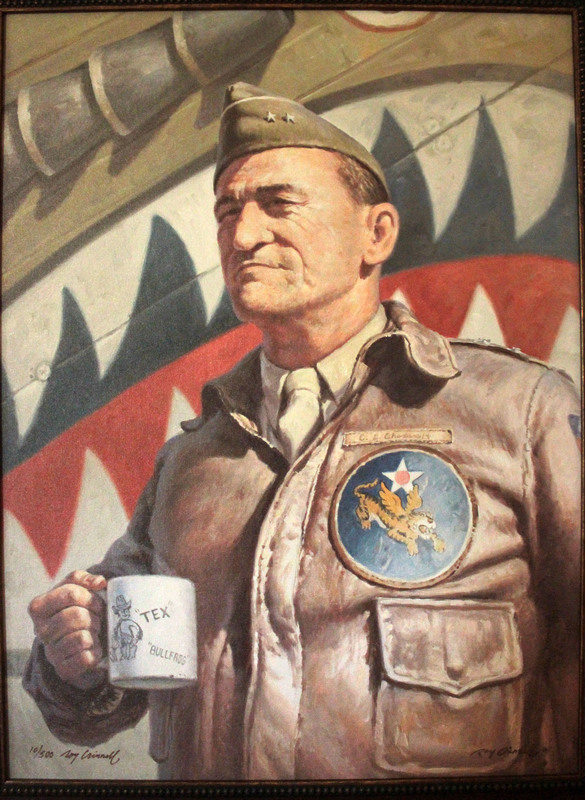 More information on General Chennault will be available for viewing this fall 2014 with the re-opening of the Chennault Aviation & Military Museum’s General Chennault Exhibit. 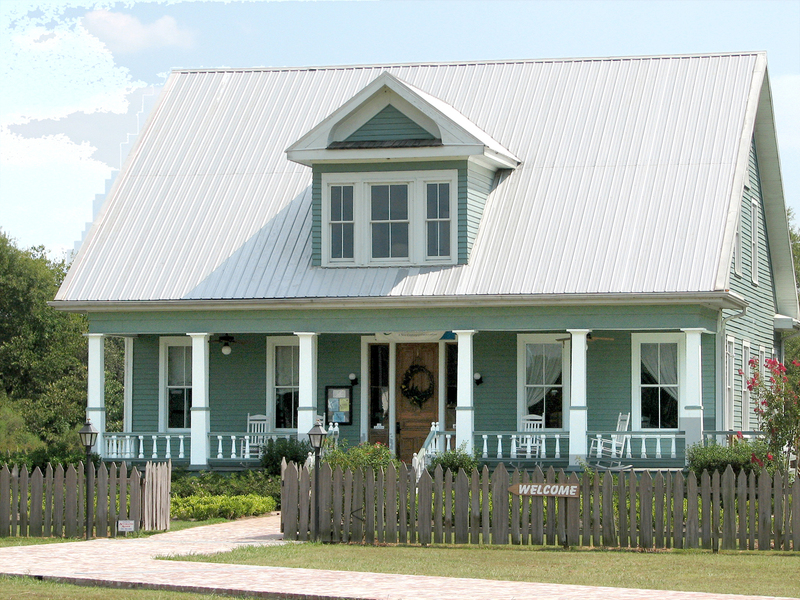 For more information, please visit us at www.chennaultmusuem.org or 318-362-5540. Tanya M. Shlosman is the Director of Education and Public Programming and Business Manager at the Chennault Aviation & Military Museum.